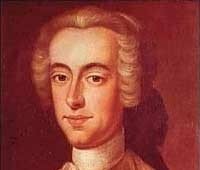 Thomas Hutchinson (1711-1780) was an American-born Loyalist who became an object of derision and hatred during the revolutionary period. Born in Boston and educated at Harvard, Hutchinson entered colonial politics in the late 1730s and came to hold a number of important positions. In 1754 Hutchinson participated in an intercolonial conference in Albany, New York where he, along with Benjamin Franklin, argued that the 13 colonies should form a continental union, largely self-governing yet still under British imperial control. 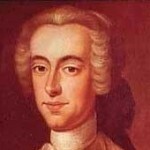 In 1758 Hutchinson was appointed the lieutenant-governor of Massachusetts. Two years later he was appointed chief justice of Massachusetts, despite having no legal background or training. For the entirety of his career, Hutchinson was a loyal servant of the crown who was determined to uphold British laws and implement British instructions to the letter. Hutchinson’s loyalism, not to mention his willingness to issue writs of assistance, outraged the legal and commercial fraternities in Boston. Hutchinson became a figure of derision and, from the early 1760s, he was frequently ridiculed in the press, in broadsides and caricatures. A good deal of this material came from the poison pen of Hutchinson’s nemesis, Samuel Adams. Hutchinson was privately opposed to a colonial stamp tax, advising against it in 1764. After parliament passed the Stamp Act the following year, however, Hutchinson accepted it without question. When the Stamp Act incited public unrest in mid-1765 Boston, it was almost inevitable that Hutchinson should become the scapegoat for an unpopular British policy. Tensions came to a head in August when an angry mob looted and destroyed his house. Despite his unpopularity, Hutchinson continued to serve as chief justice and lieutenant governor. When Francis Bernard returned to Britain in August 1769 Hutchinson became acting governor; he was given the position officially in 1771. Hutchinson’s determination to enforce British policy contributed to the Boston Tea Party in December 1773. He was replaced as governor by General Thomas Gage (May 1774) and sailed for England to brief the government. The outbreak of war turned Hutchinson’s trip into an exile and he never again saw the country of his birth.